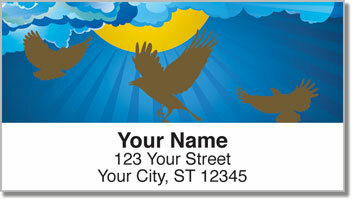 Striking silhouettes of birds soaring high in the sky make an eye-catching addition to every envelope you put in the mailbox! 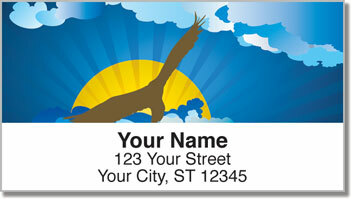 These return address labels evoke a sense of complete freedom and splendor. They'll remind you to rise above the challenges life brings your way - because the sun is always shining when you get past the clouds. 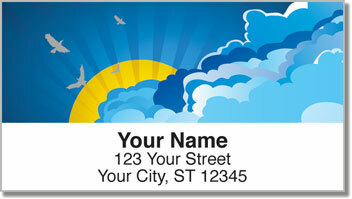 Birds in Flight Address Labels from CheckAdvantage will give you a little extra freedom in your everyday life. Instead of spending time scribbling your name and address over and over on every envelope - all you have to do is peel and place! 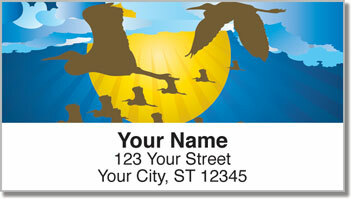 Order your own Birds in Flight Address Labels right now! Don't forget to take a look at the matching personal checks!